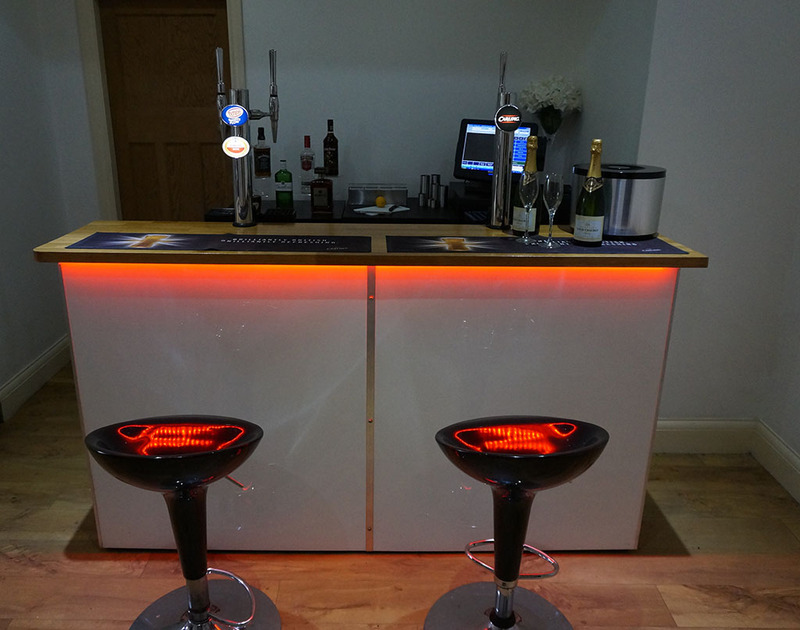 Bars at Yours offer a wide range of mobile bars available for hire. 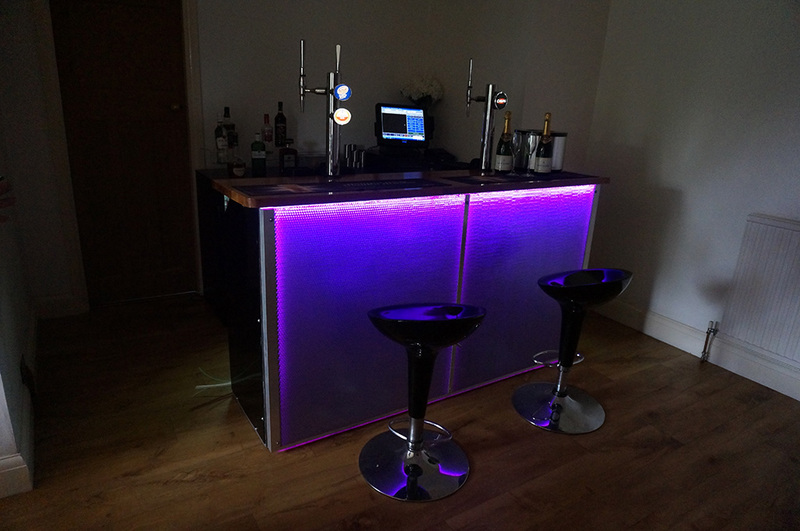 Our stylish portable bars come in a variety of sizes and high quality finishes that can be tailored to your requirements. 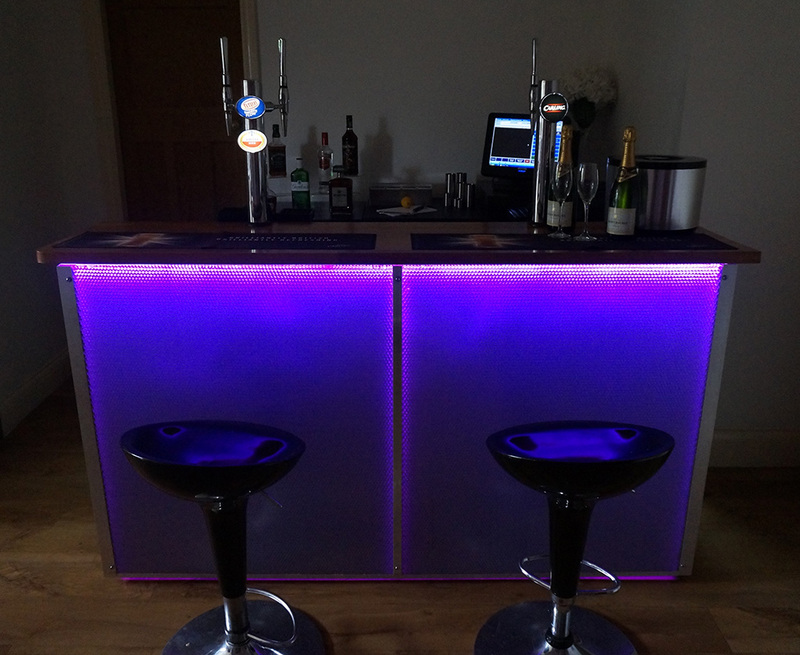 Our mobile bars are the ideal accompaniment to almost any event and make fantastic additions to Marquees, Weddings, House parties and Birthday celebrations. 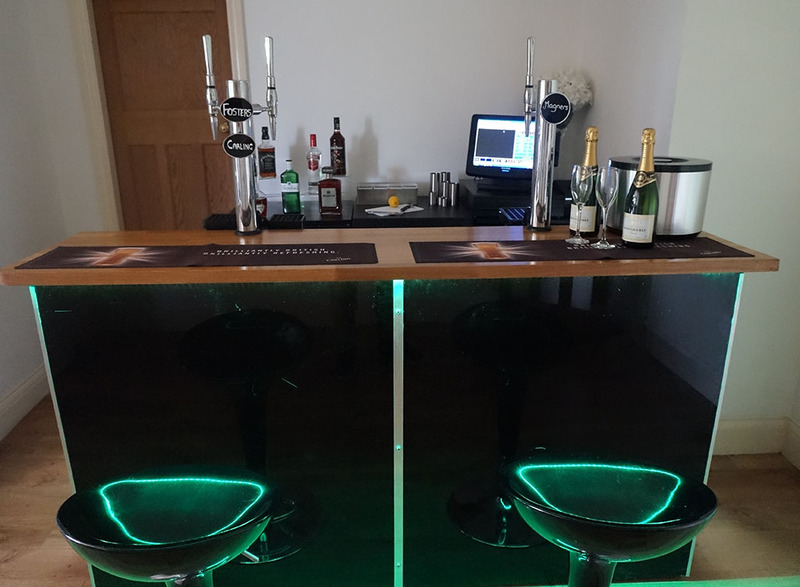 Our mobile bar hire services can be available to serve any UK destination but particularly focus on the North West region including Greater Manchester, Cheshire, Derbyshire and the surrounding areas. 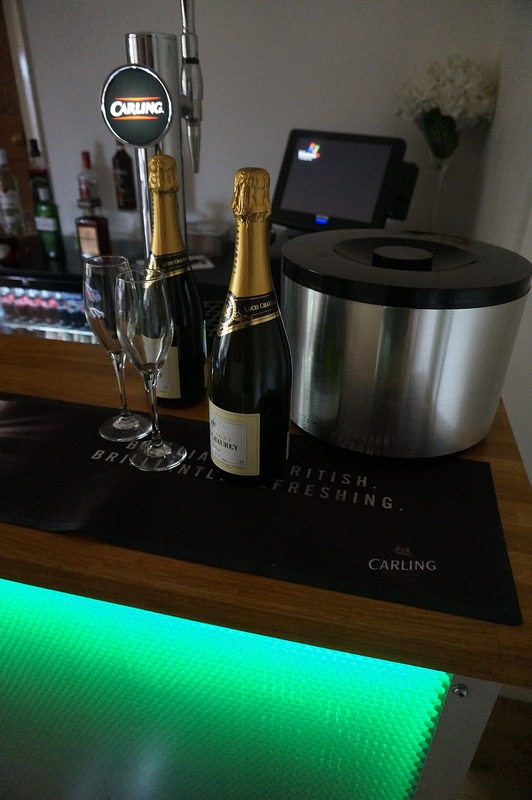 All our fully stocked mobile bars are FREE** to hire all we require is a small deposit this is returned to you after your event, you and your guests will then simply pay for your drinks at the bar. 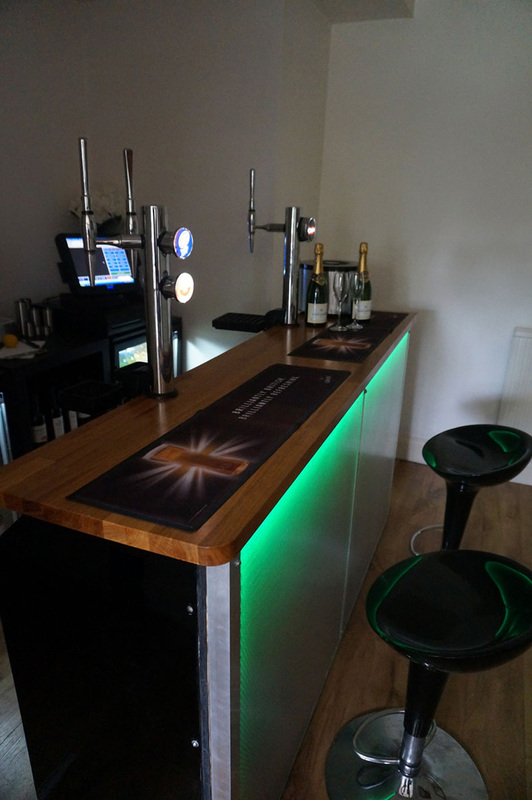 Alternatively we offer dry mobile bars for hire, these are stocked and run by yourselves and you simply need to pay for the bar hire. 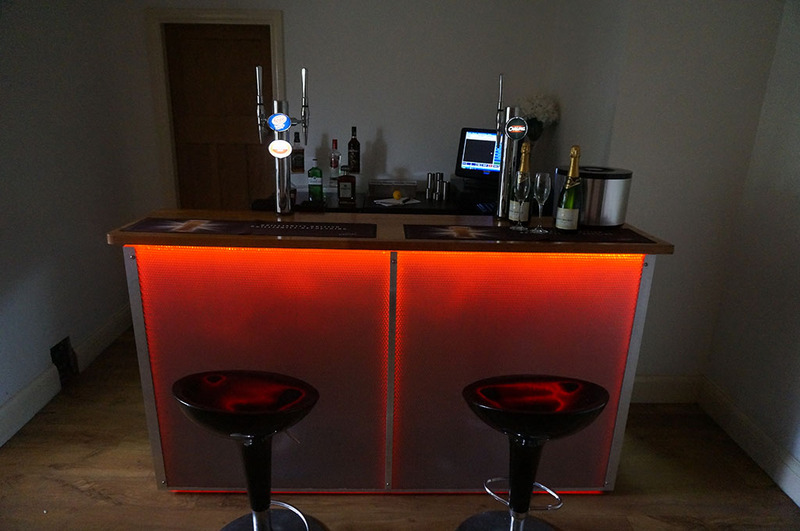 Our fully stocked bars come in various sizes from 6ft to 20ft* and are available to hire from as little as £200 deposit. 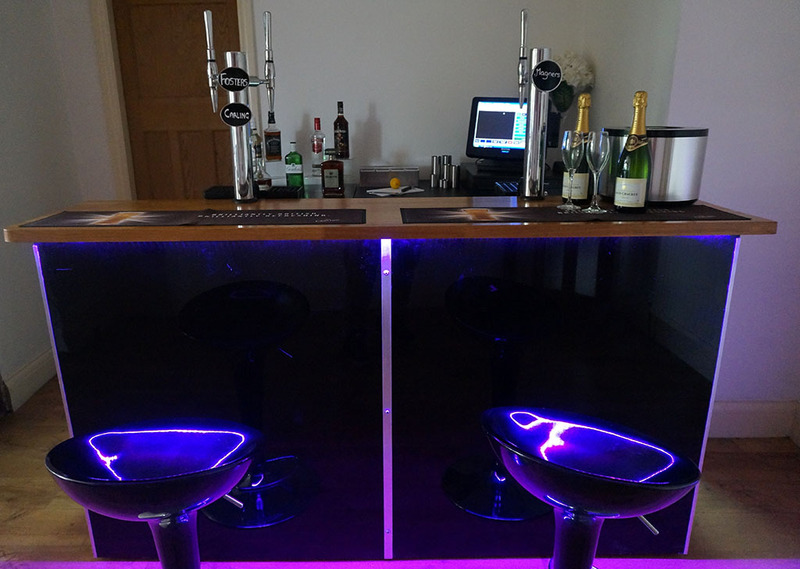 All our mobile bars come complete with colour changing LEDs. 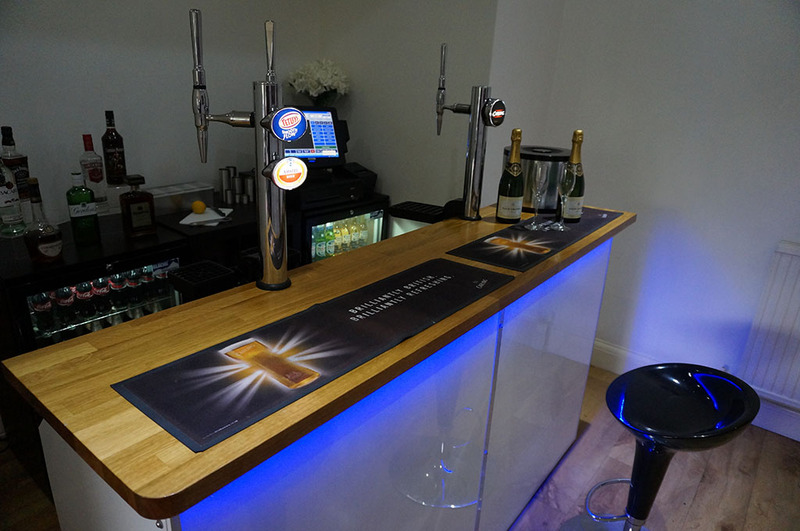 Our traditional mobile bar package provides you with your choice of our 6ft bar from our range of high quality mobile bars and a team of highly trained staff. 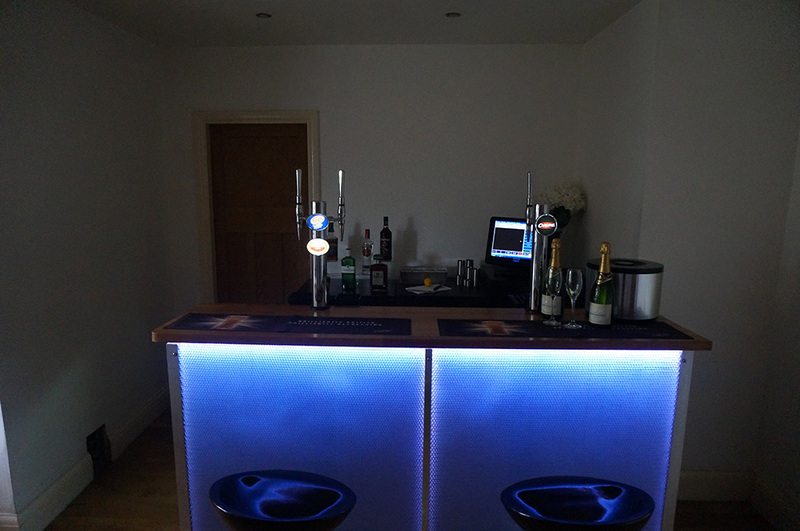 The bar will be provided fully stocked with your choice of beers, wines & spirits. Guests will be required to pay for their drinks. 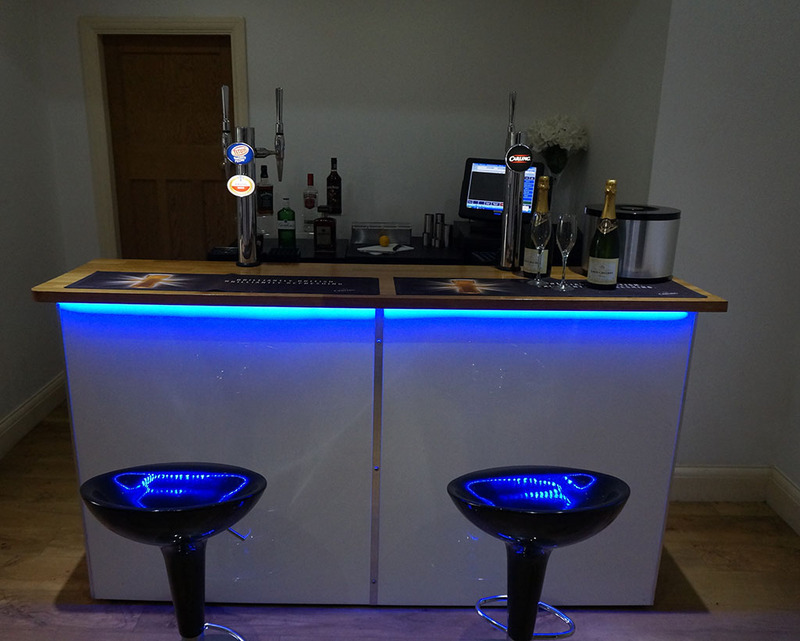 Fully stocked bar including a choice of beers, wines, spirits and mixers. *Actual glassware at additional cost depending on quantity required. *May be subject to delivery or out of area charge. 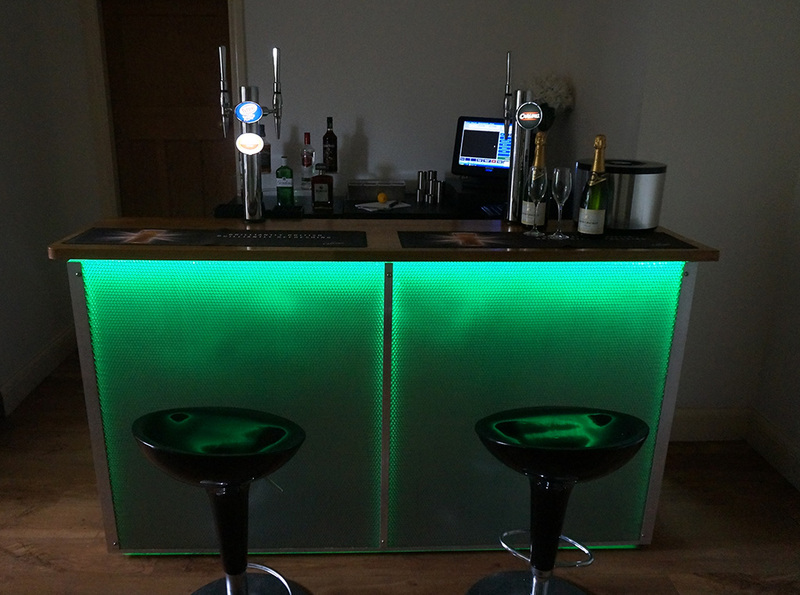 With our Tabbed Bar package we provide the mobile bar and the required number highly trained bar staff. 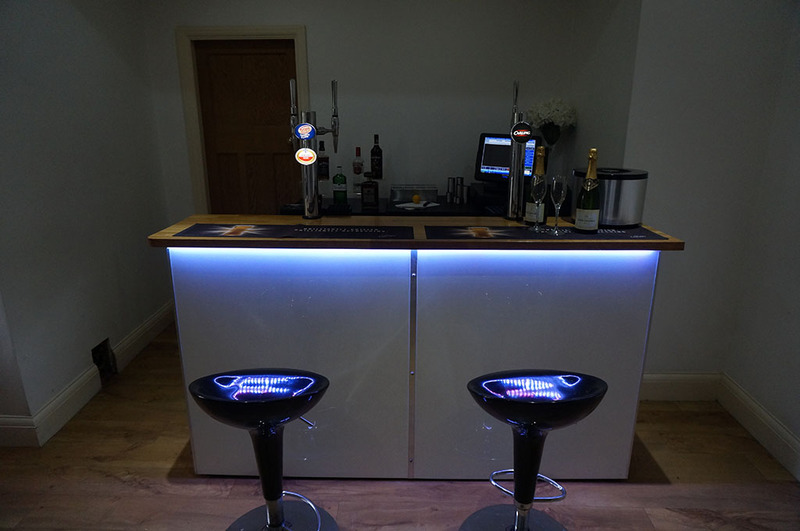 Your mobile bar will be fully stocked with your choice of beers, wines & spirits. You can set a limit for your tab at which point guests will then be required to pay for their drinks. 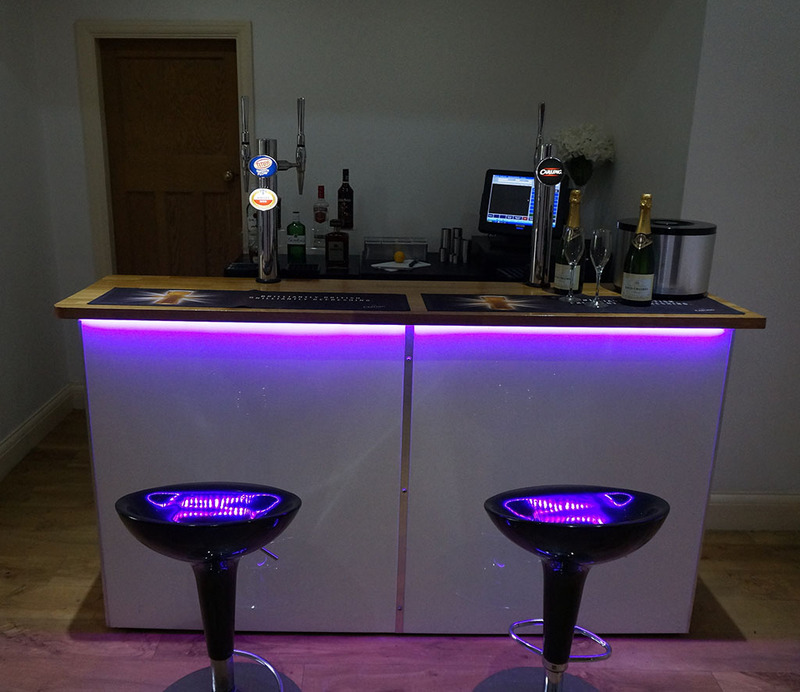 Our open mobile bar packages provide you with a bar of your choosing from our range of high quality mobile bars. 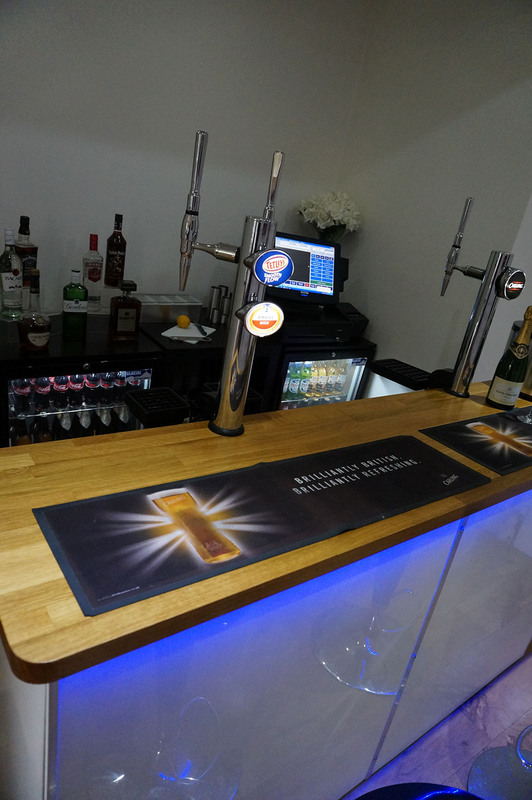 Your bar will be fully stocked with your choice of beers wines and spirits and you will be provided with a team of highly trained bar staff. 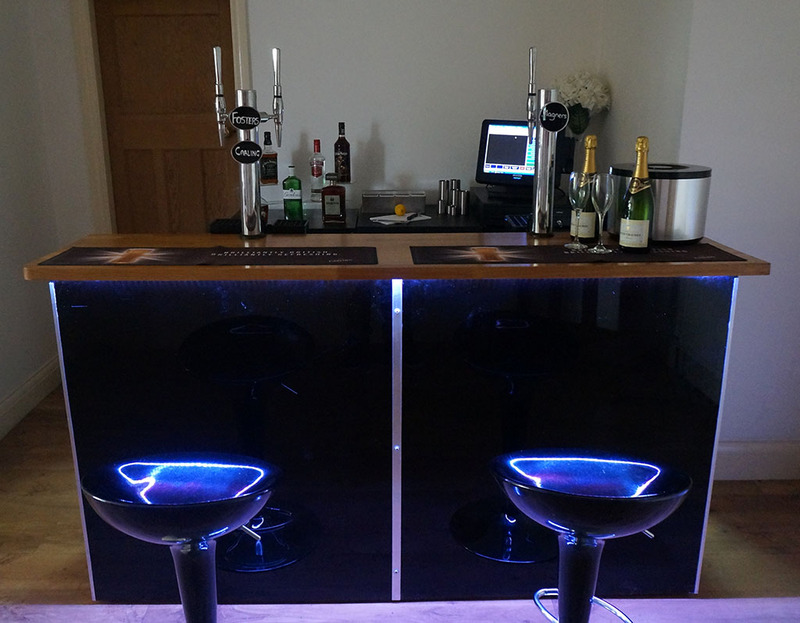 Our open mobile bars are charged per head, depending on party size and duration. 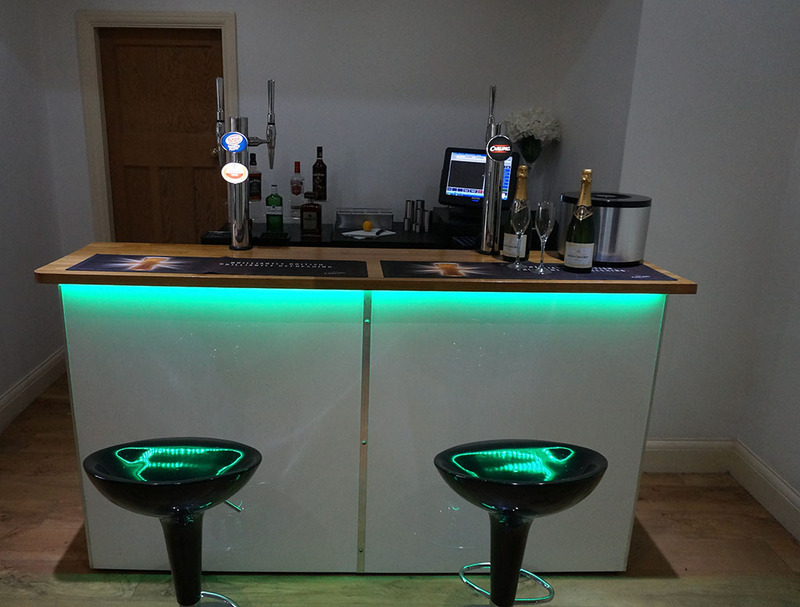 The bar operates on an open bar policy, guests can have as many drinks as they like for the duration of your event they simply have to return their glass for their refill. 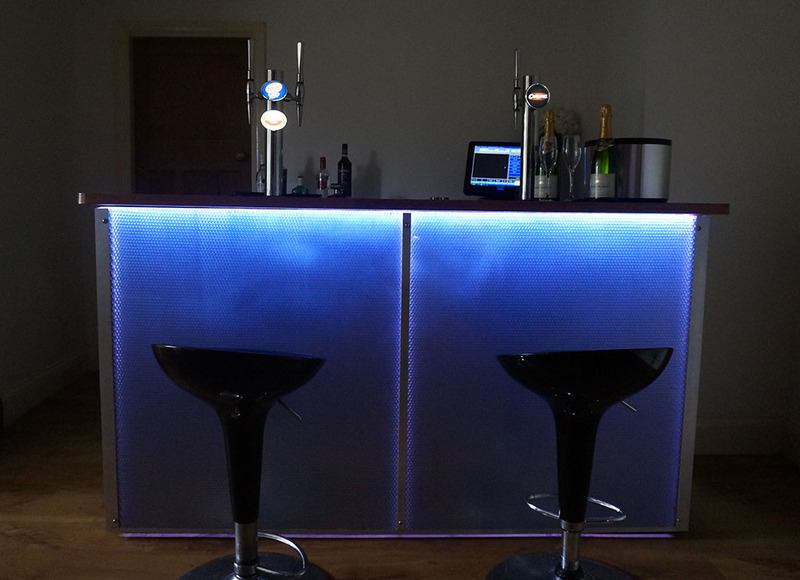 Full payment is taken before your event allowing you and your guests to relax and enjoy your party. 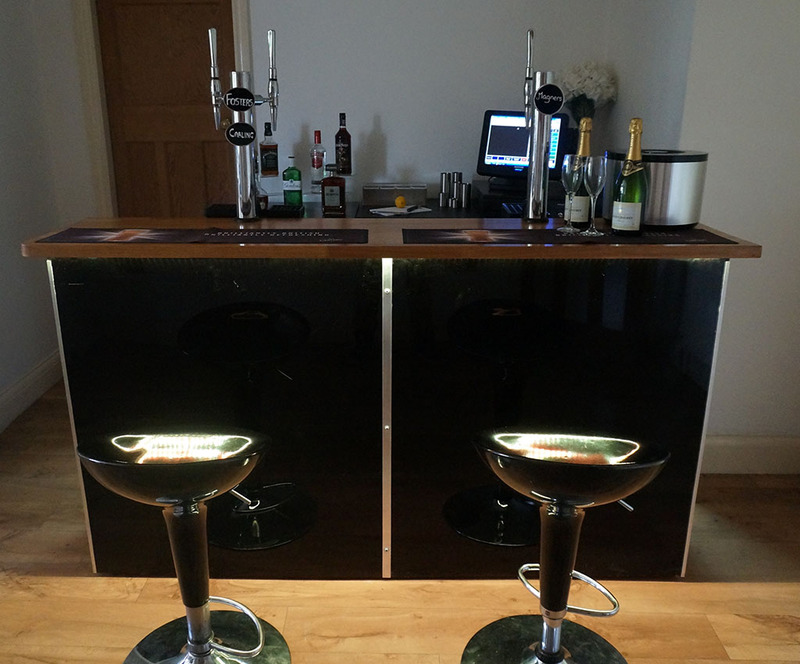 Hand crafted finished with a smooth black glossing, complete with a traditional solid oak counter. 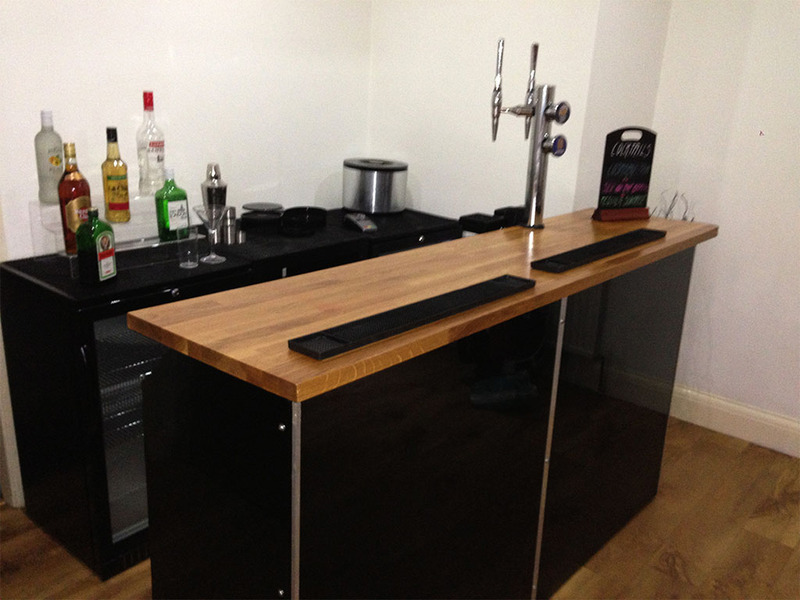 Hand crafted finished with a smooth white glossing, with a traditional solid oak counter. Hand crafted with a honeycomb finish, topped off with our traditional solid oak counter.